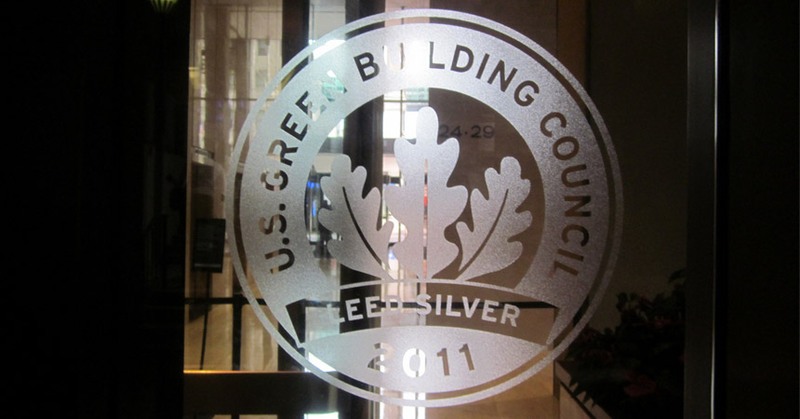 LEED Silver graphic in Avery Etchmark film on reverse of glass. 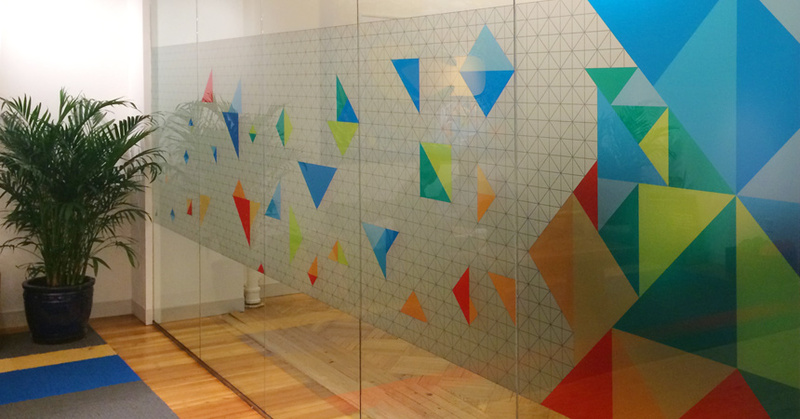 Similar to chemical etching at a fraction of the cost, glass frosting films can be done in full panels, partial bands, or designs to give you privacy without darkening the room. 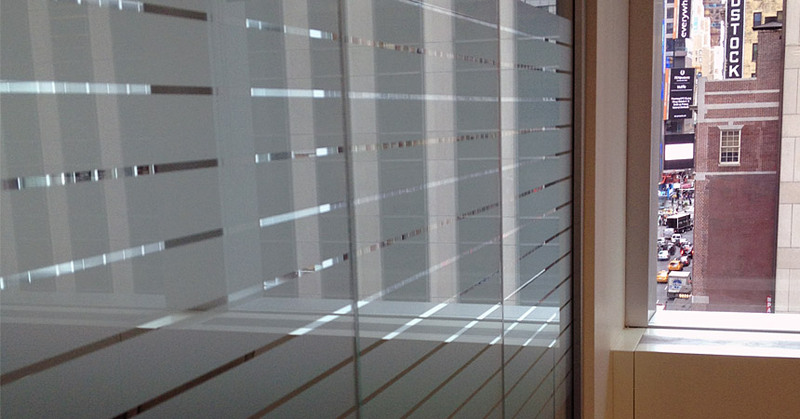 Popular in street-level windows, conference rooms, and elevator lobbies, glass frosting is elegant and effective. 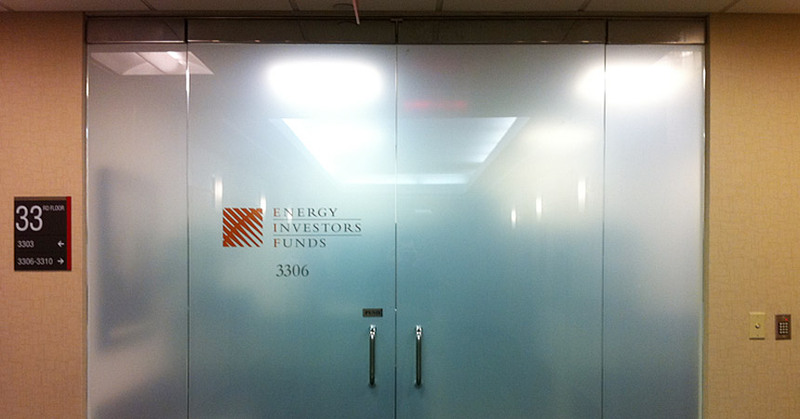 We can also add your logo or any other design as a cut-out or as a separate opaque element. Unlike traditional chemical etching, our glass frosting films can be removed using a special process without damaging the glass or leaving any adhesive residue.